New England Runner Magazine is partnering with Barrel House Z, Weymouth's craft brewery and Old Colony Running Events to host the South Shore's latest 5K at Barrel House Z Brewery! The BHZ 5K features a fast, fairly flat course which starts and finishes at Barrel House Z. It's an out and back route with a loop at the midpoint. The top three overall male/female will receive a custom BHZ Beer Tap Handle. Unique age group awards in 7 age divisions. The post race celebration including complimentary (age 21 and older) Barrel House craft beer and light food offering (TBD). T-shirts to the first 200 registrants. 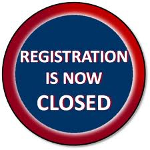 Race registration is now closed. You can register in person at the event on race morning.